Developing on last years success, this event assembles an international audience to include regulatory, device design, packaging and formulation professionals. The devices need to be designed for the new generation of drugs and they need to provide safety with a strong patient focus. This event is will help inspire you to help drive this industry forward and learn about the predicted market trends, critical digital and chemical developments and the push for patient compliance in a changing regulatory landscape. Dr Richard is presently leading the Technical and Pharmaceutical Development activities for the Medincell Company, Lead Candidate Selection to all Clinical Development Phases. Dr Joël Richard graduated from Ecole Normale Supérieure (Cachan, France) and got his PhD in Materials Science/Colloids & Interface Science from University of Paris VI. Dr Richard has 30 years of experience in chemistry and biopharmaceutical R&D, including several global senior leadership positions in various Biotech and Pharma companies, such as Medincell, Ipsen, Merck Serono, Serono and Ethypharm. He also had an entrepreneurial experience, co-funding Mainelab (France) with Pr Jean-Pierre Benoit, a drug delivery company specialized in developing solvent-free processes for protein delivery systems. Dr Richard has focused his research activity on new formulations and drug delivery systems (such as microspheres, nanoparticles, self-assembling gel systems, chemically-modified proteins, supercritical fluid technology . . .), especially for injectable protein and peptide formulations. Dr Richard has published 68 peer-reviewed scientific papers, 8 book chapters and 2 editorials in various fields (colloids and interfaces, drug delivery, supercritical fluids, protein formulations, sustained-release formulations…). He is the author of more than 140 international communications and 55 patent families. Vasco Filipe is a Biological Engineer and obtained a Ph.D. degree in Pharmaceutical Sciences from the Utrecht University (The Netherlands) in 2011. His thesis focused on the physicochemical characteristics, stability in biological fluids and immunogenicity of monoclonal antibody aggregates. After a post-doc in 2012 on a similar topic, he then joined Adocia in 2013 (Lyon, France), where he worked as the Project Leader for all monoclonal antibodies collaborations. In 2015 he joined Sanofi (Paris, France), where he now works as a Section Head of Formulation and Process Development in the department of Biologics Drug Product Development. Adeline Meilhoc is an expert in drug clinical development and in digital environment around medical devices. She is specialist of innovation product setup and deployment dedicated to patients and health care professionals. In the last 15 years, she proposes commercial and operational partnership solutions to pharma and biotech industry. She accompanies them in their efforts to enhance patient's treatment adherence in analyzing health real-world data. Clinical psychologist, specialist in Health & Society, she is focusing now on international commercial deals for drug preparation and administration, in proposing a bridge between R&D and Market access. Stephen Paboojian is an engineer and senior project leader for the development of pharmaceutical delivery systems, from medical devices and primary drug packaging to instructional materials and custom outer packaging. Steve has a proven track record of over 25 years of driving novel inventions from concept to commercial launch, contributing to global products in development for treatment of Macular Degeneration, COPD, Cystic Fibrosis, Multiple Sclerosis, and Diabetes. Miranda is a creative design and usability consultant specialising in medical device developments. In 2016 she founded Inspired Usability, a medical device human factors consultancy. She works on early design research through to human factors validation on a range of medical device and combination products. Miranda originally studied Engineering (Cambridge University) and Industrial Design (Royal College of Art) and is a chartered ergonomist with the CIEHF. In 2018 Miranda and Louisa Harvey started the Medical Human Factors Network UK, with the aim of brining together like-minded professionals and raising the bar with medical human factors practitioners. Louisa is an experienced medical device human factors consultant. Louisa has an MSc in Industrial Pharmaceutical Science and began her career working in clinical trials. Louisa has a broad-range of experience working in both the pharmaceutical and medical device industries in technical and commercial roles. Having spent a number of years working with most of the Cambridge-based medical consultancies, she has inputted into the design of many different products from auto-injectors through to large surgical systems. Louisa specializes in conducting studies in vulnerable patient groups always ensuring her studies are designed with ethics in mind from the outset. 14:00 Sprint: How to quickly answer key usability questions and create patient-centric devices. Edward is an established designer with a wealth of expertise in usability testing and human factors. In his role as Senior Designer & Associate at Crux, Edward works at the forefront of R&D across the medical and consumer goods sectors and promotes a user-centred approach to design better products faster. Edward has significant experience in the development and usability testing of injectable, inhalation, ocular and connected drug delivery devices, and has developed instructions for use (IFUs) for injection systems on the market. Prior to joining Crux Edward helped bring several flagship products to market for British technology company Dyson. Paula has a background in Human Factors, Usability, User Experience (UX/UI) and Product Design. Paula specializes in Medical Device Design and Consumer Health. Her expertise spans across front end user research through to formative (verification) and summative (validation) testing. Paula is an experienced Moderator and has conducted studies across Europe, USA and China. She has a passion for identifying unmet needs and ensuring effective user input is integrated into the entire product development process. Olaf is an applied physicist by training with a broad knowledge in interdisciplinary fields like nanotechnology and biomimetics. Over the years, he has worked on extracorporeal circuits, in vitro diagnostic, predictive algorithms and complex drug delivery systems. After joining Boehringer Ingelheim, he is currently working on combination products for new pharmaceuticals as well as innovation projects for smart and connected drug delivery devices. Cost vs. Adherence, where does the benefits lie? Sigrid Van Dyck is a Senior Director at Johnson & Johnson, located in Switzerland, where she leads the Technical Operations Parenteral Technology Platform. She is managing New Product introduction and Life Cycle Management of biological and other parenteral products, as well as providing technical support to the internal and external network. Sigrid joined J&J in 2006 as a Senior Scientist, supporting various New Product Introductions. Her professional career started with Schering-Plough Belgium, where she held positions in Quality and Sterile Manufacturing Operations. Sigrid holds a Ph.D. in Pharmaceutical Sciences. Mayur Patel is an experienced Project Manager and Clinical Scientist [Health and Care Professions Council UK registered CS18187 – a regulated professional qualification required to advise safety and effectiveness of medical devices/ physiological measurement techniques in the NHS]. He has a strong track record in leading the development of innovative devices and techniques in medical and drug-device combination device sectors. Mayur holds a Masters Degree in Engineering and Physical Science in Medicine from Imperial College London. He lectures King’s College London postgraduate students and trainee clinical scientists on a range of medical device and healthcare management subjects. Quentin Le Masne holds a Master’s Degree in Engineering for Ecole Centrale de Paris and a PhD in Physics from Paris University. He has worked in numerous positions in the field of medical devices, from In-Vitro Diagnostic to Drug Delivery Devices, restlessly bringing highly innovative ideas from lab to market. His work focuses on the management of engineering teams with diverse expertise like electronic, mechanics, human factors, physics, fluidics, and manufacturing to bring new products in the doctor’s and patient’s hands. He is now in charge of the development of novel electronic drug delivery devices for Merck. User experience and patient-centric design: what do patients really want from electronic auto-injectors? Tom Lawrie-Fussey is a digital services specialist at technology and product design firm Cambridge Design Partnership. He is a Chartered Engineer with a master’s degree and has more than 15 years’ product development experience. Tom works across multiple industry sectors, primarily focused on drug delivery, consumer health, and FMCG clients, where he drives various digital initiatives to help guide clients along their own digital roadmap. He specialises in digital implementation, linking device development with communications and data analytics platforms. Tom provides a technology-agnostic, pragmatic approach that is human-centred – unlocking benefits for all stakeholders and, ultimately, generating new revenue streams. We’ll share a number of toolkits and approaches we use which help us to better quantify user experiences; highlighting where the value in digital can be captured and monetised. John specializes in the design and project management of medical devices with a particular focus on the development of parenteral drug delivery devices. A designer by training with a strong grounding in medical design and regulatory focused human factors, he regularly attends user studies in both Europe and the US. On projects he seeks to balance technical, user and commercial requirements to produce simple elegant solutions. Over the years, John has worked on a range of parenteral device developments with leading pharma companies in both Europe and the US and has a good knowledge and understanding of the market, current devices and trends. John brings experience of both consumer and medical product development, having worked on a diverse range of products, including drug delivery devices, wound management, diagnostics platforms and blood glucose monitoring. Paul is currently the platform lead for visual inspection and leak detection in the biopharm & steriles manufacturing science group, GSK pharma division. He has almost 30 years in pharma secondary manufacturing, including roles in QA, QC, technical, validation & production operations. For the last 13 years Paul’s responsibilities have included visual inspection and leak detection practice and policy for a broad range of sterile finished product presentations across the pharma and vaccines divisions covering Europe, the US, Japan and emerging markets. Paula has a background in Human Factors, Usability, User Research, User Experience and Product Design. Paula specialises in both Medical Device Human Factors and Human Factors for Combination Products. She is a certified Practitioner and has moderated numerous Formative and Summative Evaluations across Europe, USA and China. Paula is also a licentiate fellow of the Institute of Training and Occupational Learning and provides Human Factor’s training to both Pharmaceutical and Medical Device manufacturers. Vice President of Business Development, Credence MedSystems, Inc.
Mr. Hassett has 30+ years’ experience in the medical device industry. In that time, he has functioned as Global VP Sales, Marketing, and Business Development for IVAC Corporation, Medication Delivery Devices, Safety Syringes Inc., ROVI Contract Manufacturing and other innovative delivery system companies. His responsibilities included commercialization of infusion pumps, injectable devices with prefilled syringes, wearable devices, and autoinjectors. He has injectable device experience in multiple markets including acute and home care as well as 15 years of experience specifically in Pharmaceutical and Biotech space. He holds a BS degree from Georgia State University in Atlanta, GA.
View details Almac Sponsors and Exhibitors http://www.almacgroup.com Almac is an established CDMO organization that provides an extensive range of integrated services to the global biopharma industry. Almac provides specialised packaging solutions for all biopharmaceutical dosage forms (vials, ampoules, pre-filled syringes, auto-injector pens) and can support all your packaging needs from niche/orphan drug launches to high volume products. View details Crux Product Design Ltd Sponsors and Exhibitors http://www.cruxproductdesign.com/ Crux is a product development consultancy serving the pharmaceutical industry with a fully integrated service wrapped around solid technical knowledge. Our highly experienced team consists of industrial designers, mechanical engineers, electronics & software engineers and simulation experts. We’re trusted by our clients to solve their most technically challenging briefs. View details EVEON Sponsors and Exhibitors http://www.eveon.eu Transforming patient experience. EVEON is the partner of pharmaceutical, biotech companies and medical device manufacturers for the development of automatic, safe and connected devices. The company facilitates and controls the handling, preparation and administration of molecules. Our innovative solutions meet specific requirements of a wide range of applications. View details Biocompare Supporters http://www.biocompare.com Biocompare.com is the leading resource for up-to-date product information, product reviews, and new technologies for life scientists. Biocompare combines an in-depth knowledge of life science products and new technologies with the power of the Internet to offer scientists the most dynamic, relevant, and innovative media-based marketplace for life science information. Farmavita.Net is the pharmaceutical licensing, technology transfer and regulatory affairs network. We are managing the marketplace of offers and demand for pharmaceutical Dossiers, know-how and technologies. Members of Farmavita.Net network usually find a number of attractive solutions for business development, alliances, joint ventures, co-development and co-marketing of pharmaceutical products. Farmavita.Net is not just a pure Internet portal. We manage a number of regional associates. We are connecting the dynamic network of few hundreds members / pharmaceutical companies interested in license-in and license-out opportunities. View details Gate2Biotech Supporters http://www.gate2biotech.com Gate2Biotech is a portal that unites biotechnological community in Central Europe. It covers all the news in the field of biotechnology. Thanks to the the portal the companies engaged in the field can easily search for research institutions and other partners to solve technical problems they are facing and here they can also present their services offer to potential partners from the Czech Republic and abroad. Gate2Biotech portal serves as a bridge connecting scientific and commercial sector. It incorporates offices and support organizations dedicated to promoting transfer of innovative technologies into a unified communication platform of Czech and international biotechnologies. As a mediator of information it draws attention to biotechnologies and support of their application and transfer into practice. It also functions as a tool for encouraging non-professionals (especially scientists and students) towards innovative business or applied research. View details ONdrugDelivery Magazine Supporters http://ondrugdelivery.com ONdrugDelivery Magazine is the highly regarded, world-leading series of sponsored themed drug delivery publications. Uniquely, each issue focuses tightly on one topic within the field of drug delivery. With a truly global readership already in excess of 40,000, and with contributions and loyal support from many of the most important companies in the drug delivery business - from among the largest to the smallest - ONdrugDelivery Magazine is a must for those in the industry who need to know what's going on in drug delivery. View details Pharma Journalist Supporters http://www.pharmajournalist.com Pharma Journalist is a product of Kellen Media. Pharma Journalist is one of the leading website covering the need of global Pharmaceutical Industry. Articles like latest news, trends, analysis, market report, press releases, whitepapers, case studies, etc. published on pharmajournalist.com helps Industry professionals and decision makers to stay on the top of this fast-paced industry. Pharma Journalist aims of providing fast and informative articles to its readers and subscribers. View details Pharmaceutical Technology Supporters http://www.pharmaceutical-technology.com Pharmaceutical-technology.com is the only website focusing specifically on issues relevant to pharmaceutical professionals working with technology, be it development, engineering, IT or production. Pharmaceutical-technology.com brings you the latest in industry projects and updates, along with the news, views and trends that leading professionals – from senior executives to manufacturing managers and heads of procurement – require to stay on top of their field. View details Pharmalicensing Supporters http://www.pharmalicensing.com Pharmalicensing (www.pharmalicensing.com) is the premier biopharmaceutical Open Innovation resource designed for professionals involved with partnering, licensing and business development worldwide. Actively supporting all forms of partnering and in- and out-licensing activities, Pharmalicensing utilizes the unique online Showcase Profiling & Discover services, as well as its renowned Partnering Search service leveraging its global network of industry experts, to enable companies to identify and engage with appropriate partners around the world. Pharmalicensing is actively utilized by many tens of thousands of industry professionals each month. Pharmalicensing is a division of Cognis Group, Inc.
View details pharmanews hq Supporters http://http://pharmanewshq.com MedChemNet provides a unique and unparalleled platform for the medicinal chemistry community to share insights, discuss the latest research, and help move the field forward. MedChemNet covers all aspects of the drug discovery pipeline, from target identification and validation, through computer aided drug design (CADD), synthesis, screening and other biophysical techniques, to development of novel lead compounds and pre-clinical in vivo proof of concept. We also cover the design of synthetic drug delivery carriers and ADME/toxicology studies, as well as intellectual property and economic related issues. Website: Welcome to Pharma News HQ, the journal dedicated to the pharmaceutical and biopharmaceutical contract services. With regular sections on contract manufacturing, contract research, contract packaging, formulation/development services, contract analytical testing, APIs, stability testing, clinical research and other areas, we bring the most complete coverage of trends and issues in the industry. Pharmanewshq.com is the only website focusing specifically on issues relevant to pharmaceutical professionals working with technology, be it development, engineering, IT or production. View details PharmaVOICE Supporters http://www.pharmavoice.com PharmaVOICE magazine, and its supporting VIEW publications, provide commentary about the challenges and trends impacting the life-sciences industry, covering a range of issues from molecule through market. PharmaVOICE's more than 41,000 U.S.-based subscribers are also kept abreast of the latest trends through additional media resources, including WebSeminars, Podcasts, Videocasts, and White Papers. View details Swiss Biotech Association Supporters http://www.swissbiotech.org/ The Swiss Biotech Association (SBA) is the national industry association for biotechnology, including pharmaceuticals, diagnostics, agriculture, food, cosmetics, environmental biotechnology, and specialty chemicals. Members are companies active in modern biotechnology, such as R&D, Production, Marketing and Sales, Finance, Services and Consulting. SBA provides a networking platform for Life Science clusters, academic and federal institutions the like. Founded in March 1998, the Association grows steadily. Almac is an established CDMO organization that provides an extensive range of integrated services to the global biopharma industry. Almac provides specialised packaging solutions for all biopharmaceutical dosage forms (vials, ampoules, pre-filled syringes, auto-injector pens) and can support all your packaging needs from niche/orphan drug launches to high volume products. Crux is a product development consultancy serving the pharmaceutical industry with a fully integrated service wrapped around solid technical knowledge. Our highly experienced team consists of industrial designers, mechanical engineers, electronics & software engineers and simulation experts. We’re trusted by our clients to solve their most technically challenging briefs. Transforming patient experience. EVEON is the partner of pharmaceutical, biotech companies and medical device manufacturers for the development of automatic, safe and connected devices. The company facilitates and controls the handling, preparation and administration of molecules. Our innovative solutions meet specific requirements of a wide range of applications. ONdrugDelivery Magazine is the highly regarded, world-leading series of sponsored themed drug delivery publications. Uniquely, each issue focuses tightly on one topic within the field of drug delivery. With a truly global readership already in excess of 40,000, and with contributions and loyal support from many of the most important companies in the drug delivery business - from among the largest to the smallest - ONdrugDelivery Magazine is a must for those in the industry who need to know what's going on in drug delivery. Pharma Journalist is a product of Kellen Media. Pharma Journalist is one of the leading website covering the need of global Pharmaceutical Industry. Articles like latest news, trends, analysis, market report, press releases, whitepapers, case studies, etc. published on pharmajournalist.com helps Industry professionals and decision makers to stay on the top of this fast-paced industry. Pharma Journalist aims of providing fast and informative articles to its readers and subscribers. Pharmalicensing (www.pharmalicensing.com) is the premier biopharmaceutical Open Innovation resource designed for professionals involved with partnering, licensing and business development worldwide. Actively supporting all forms of partnering and in- and out-licensing activities, Pharmalicensing utilizes the unique online Showcase Profiling & Discover services, as well as its renowned Partnering Search service leveraging its global network of industry experts, to enable companies to identify and engage with appropriate partners around the world. Pharmalicensing is actively utilized by many tens of thousands of industry professionals each month. Pharmalicensing is a division of Cognis Group, Inc.
MedChemNet provides a unique and unparalleled platform for the medicinal chemistry community to share insights, discuss the latest research, and help move the field forward. MedChemNet covers all aspects of the drug discovery pipeline, from target identification and validation, through computer aided drug design (CADD), synthesis, screening and other biophysical techniques, to development of novel lead compounds and pre-clinical in vivo proof of concept. We also cover the design of synthetic drug delivery carriers and ADME/toxicology studies, as well as intellectual property and economic related issues. 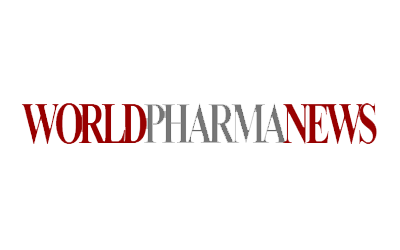 Website: Welcome to Pharma News HQ, the journal dedicated to the pharmaceutical and biopharmaceutical contract services. With regular sections on contract manufacturing, contract research, contract packaging, formulation/development services, contract analytical testing, APIs, stability testing, clinical research and other areas, we bring the most complete coverage of trends and issues in the industry. Pharmanewshq.com is the only website focusing specifically on issues relevant to pharmaceutical professionals working with technology, be it development, engineering, IT or production. PharmaVOICE magazine, and its supporting VIEW publications, provide commentary about the challenges and trends impacting the life-sciences industry, covering a range of issues from molecule through market. PharmaVOICE's more than 41,000 U.S.-based subscribers are also kept abreast of the latest trends through additional media resources, including WebSeminars, Podcasts, Videocasts, and White Papers. Gate2Biotech is a portal that unites biotechnological community in Central Europe. It covers all the news in the field of biotechnology. Thanks to the the portal the companies engaged in the field can easily search for research institutions and other partners to solve technical problems they are facing and here they can also present their services offer to potential partners from the Czech Republic and abroad. Gate2Biotech portal serves as a bridge connecting scientific and commercial sector. It incorporates offices and support organizations dedicated to promoting transfer of innovative technologies into a unified communication platform of Czech and international biotechnologies. As a mediator of information it draws attention to biotechnologies and support of their application and transfer into practice. It also functions as a tool for encouraging non-professionals (especially scientists and students) towards innovative business or applied research. Pharmaceutical-technology.com is the only website focusing specifically on issues relevant to pharmaceutical professionals working with technology, be it development, engineering, IT or production. Pharmaceutical-technology.com brings you the latest in industry projects and updates, along with the news, views and trends that leading professionals – from senior executives to manufacturing managers and heads of procurement – require to stay on top of their field. The Swiss Biotech Association (SBA) is the national industry association for biotechnology, including pharmaceuticals, diagnostics, agriculture, food, cosmetics, environmental biotechnology, and specialty chemicals. Members are companies active in modern biotechnology, such as R&D, Production, Marketing and Sales, Finance, Services and Consulting. SBA provides a networking platform for Life Science clusters, academic and federal institutions the like. Founded in March 1998, the Association grows steadily. Biocompare.com is the leading resource for up-to-date product information, product reviews, and new technologies for life scientists. Biocompare combines an in-depth knowledge of life science products and new technologies with the power of the Internet to offer scientists the most dynamic, relevant, and innovative media-based marketplace for life science information.